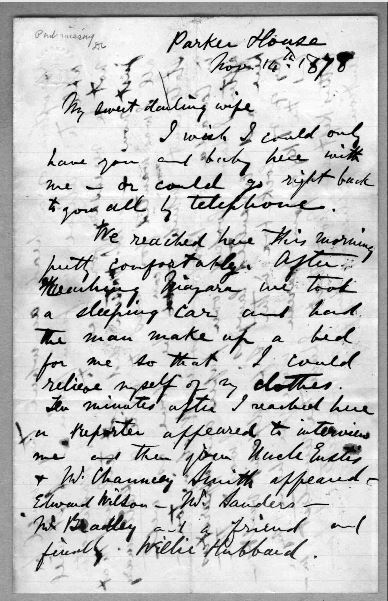 The letter below is a note that Alexander Graham Bell wrote to his wife, Mabel Hubbard Bell, on November 14th, 1878. The letter begins with “My sweet darling wife: I wish I could only have you and baby with me,” (Library of Congress). A few paragraphs down he alludes to a bureau that is filled with his love letters to his wife. Clearly, Mr. Bell was not only a genius inventor, but he was an expertly charming correspondent.